Go Canucks Go Vancouver Canucks Poster 2011 Playoffs vs Nashville Predators. Go Canucks Go! Vancouver Canucks Poster, 2011 Playoffs vs Nashville Predators. 2011 Playoff poster used to support the Vancouver Canucks in the playoffs against the Nashville Predators. 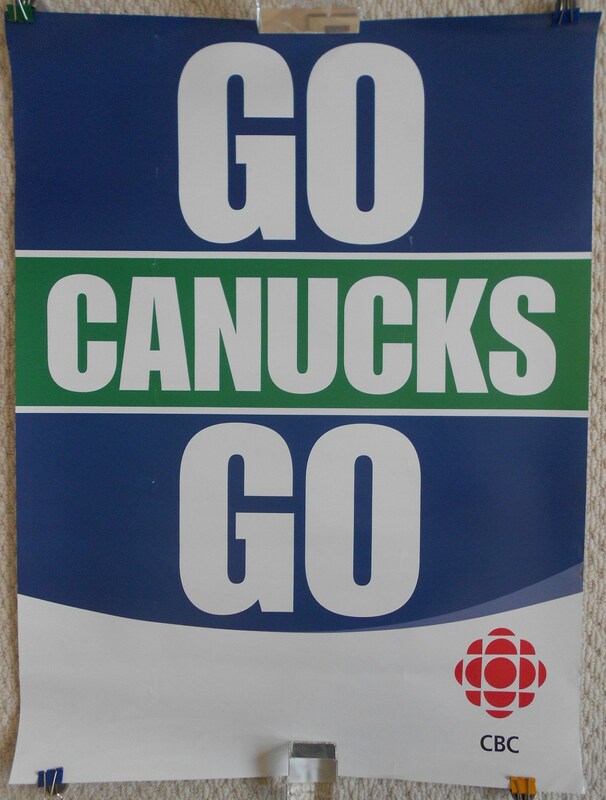 This poster was obtained from the CBC (Canadian Broadcasting Company) by myself and used for game 2 of the series. The poster measures 24" X 18" and in Very Good++++ with surface wear running down the poster. See larger image for more detail. Poster will be shipped rolled.